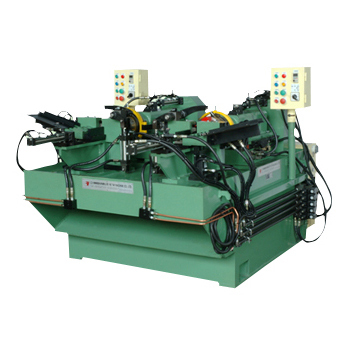 As a leading Pipe Threading Machine Manufacturer, we provide first-rate Auto Pipe Threading Machine and Auto Pipe Threading Machine For Both Ends. Auto Pipe Threading Machine for Both Ends: labor-saving and speedy products for various steel pipe and tube / conduit pipe / rod and bolt. The steel plate welded bed can strengthen its stability and bearing capacity. The motor controls the cutting mechanism and the vise mechanism clips the pipe by hydraulic system. The system is controlled by Limit Switch with the inverter. Also supply the machine with Servo Control System.